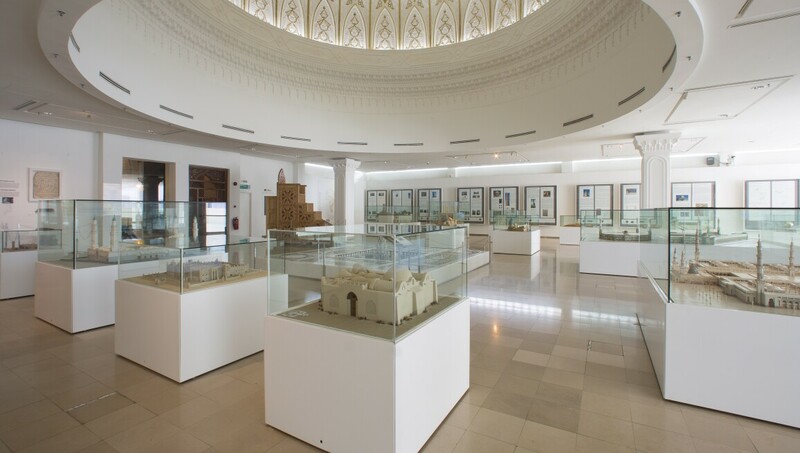 The Islamic Arts Museum exhibits its wide-ranging collection of Islamic art in open gallery floors. The elimination of spatial division permits uninterrupted movement from one exhibition space to the next, which intends to inspire a sense of continuity. The collection is made up of galleries for Chinese, Indian, and Malay art while also including themed sections for the Quran, manuscripts, textiles, jewellery, coins, metal, wood and ceramics. The IAMM has two floors of permanent galleries, and two special galleries for temporary exhibitions.